I was going to blog about my sample sale finds from yesterday but after hitting ShopRite this morning to redeem my free turkey, I was a little disturbed and just had to vent. Shoprite offers their customers a free turkey if they spend $400 in groceries within a specified period. 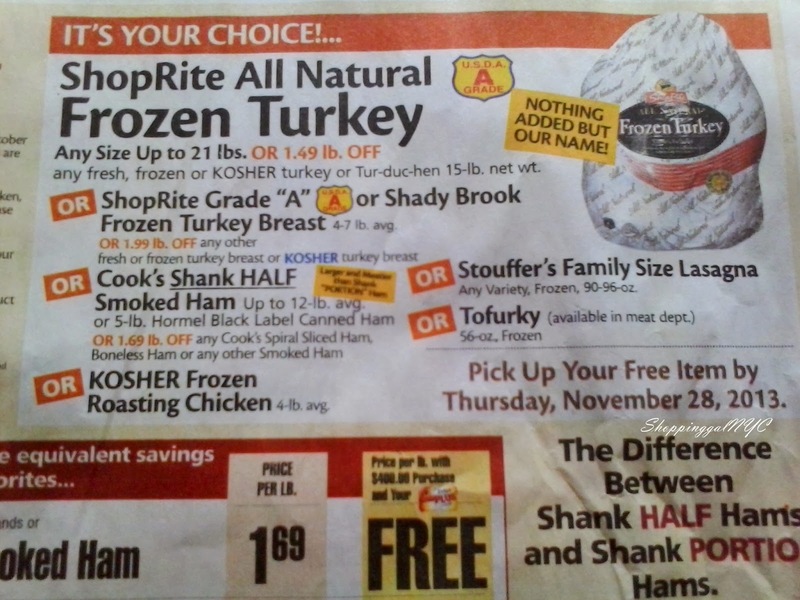 For some time now, Shoprite hasn't offered free Kosher turkey - just a roasting chicken (4 lbs average). I went to the freezer to get one and the most expensive chicken I could find was marked $13.90. 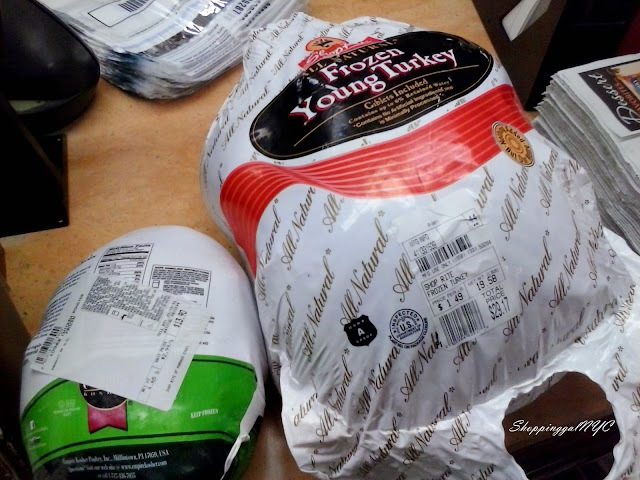 Just for kicks I went to the next freezer over to look at the turkeys eligible for this promotion. 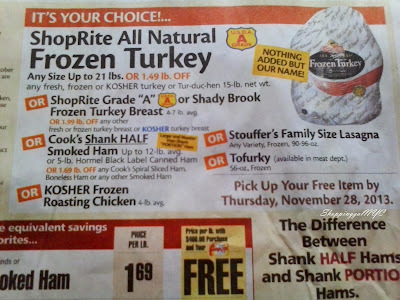 You can select a Shoprite or Shady Brook Turkey up to 21 lbs. I know Kosher meats/poultry cost more than non-Kosher meats/poultry but when you look at the price of the turkey (I grabbed a 19 lbs one) the retail was $29.17 - MORE THAN DOUBLE THE PRICE OF MY PUNY CHICKEN! So with both birds in tow I headed to customer service. I showed the rep both and said it didn't seem fair. She didn't disagree with me but there was nothing she could do. I asked for a manager - she agreed with me too but policy is policy yada yada. I want to know why the $400 I spent at ShopRite is worth less that the $400 that everyone else spends. I said that I should be getting TWO roasting chickens, not one - she didn't go for that either. I mentioned that in years past they'd offered me a $15 gift card in lieu of the chicken so she obliged and gave me one (even though I had already been told by CS that they wouldn't be doing that this year). Figuring $15 was better than $13.90, I took it. Bottom line - shame on you ShopRite. 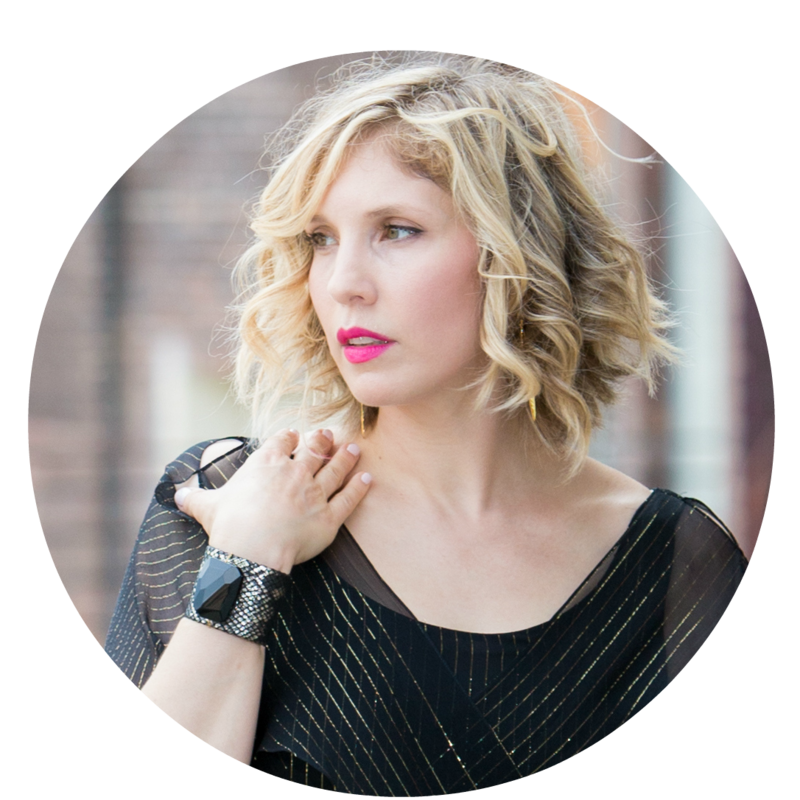 You need to re-think your promotion. "At ShopRite, we are committed to equitably serving all of our customers who choose to participate in this promotion. All customers who shop in our stores and spend $400 or more between Sunday, October 20 and Thursday, November 28 are eligible for $1.39 per pound off of their holiday turkey – frozen, fresh, Kosher, Halal, organic, ShopRite brand or name brand – it’s the customer’s choice. For the customer purchasing a ShopRite frozen turkey (which retails for $1.39 per pound) the turkey is free (up to 21 pounds). Customers who prefer any other turkey including a fresh turkey, Butterball or Empire Kosher turkey receive the same $1.39 per pound off the total cost of their turkey. We would like to assure you ShopRite is and always will be committed to serving our Jewish customers. Our support includes making a broad assortment of products available to meet your family’s needs and supporting non-profit organizations that serve the Jewish community. Please be assured your blog post has been shared with all appropriate departments throughout our company for consideration in planning future programs. We appreciate the time you took to share your thoughts with us and hope you will continue to give us the opportunity to serve you as our customer." Personally I think their response was a little canned and a little lame. So I wrote back the following - It's been 24 hrs and I have yet to get a response. ShopRite thank you for your reply. I thought it was $1.49 off - not $1.39. But more importantly I don't think it's fair to spend $400 at ShopRite for the honor of PAYING $15-20 for a turkey...I'd rather you give me a smaller kosher turkey worth $30. That would be fair IMO. And did you see my picture? Did you see the difference in size between the chicken and the turkey? How is a chicken for $13.90 the same as a turkey for $29.17? Why is my $400 spent at ShopRite worth less then most people's? I THINK IT'S TIME FOR A CALL TO ACTION!